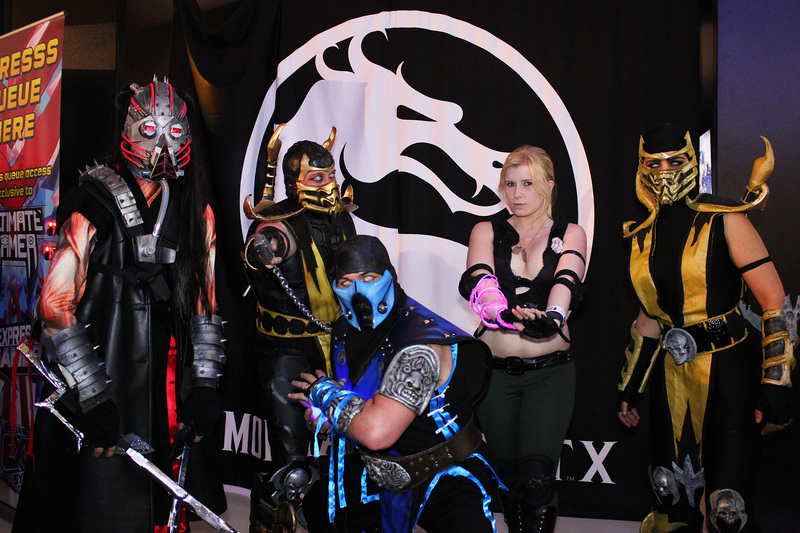 Now in its fourth year, EB Expo 2014 marked the inaugural mass public demonstration of Mortal Kombat X in Australia. 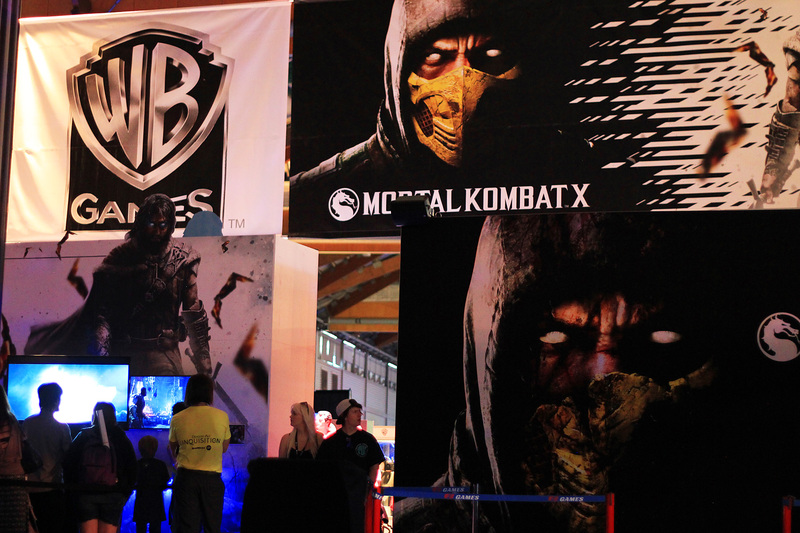 Nestled within the Warner Bros. booth, Mortal Kombat X joined a strong line-up of new and upcoming titles including Middle-earth: Shadow of Mordor, Batman: Arkham Knight, Dying Light, LEGO Batman 3: Beyond Gotham and Gauntlet. NetherRealm Studios producer Erin Piepergerdes was on-hand after his long-haul trip from Chicago, marking the studio’s second appearance at the expo in as many years (with Ed Boon himself attending back in 2012 to promote Injustice: Gods Among Us). 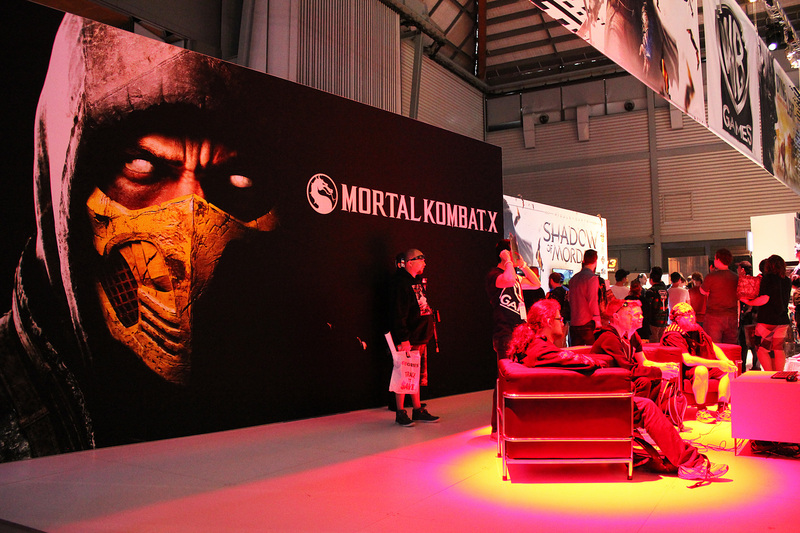 The opening Friday daylight session saw the Gamescom build of Mortal Kombat X on display, with Kano marking the newest addition to the roster. This changed later in the day however, with NetherRealm Studios updating the playable build to include the recently announced Quan Chi. We, among countless others, couldn't wait to get our hands on the villainous NetherRealm sorcerer. Our first impressions of the game were phenomenal: take our word for it, this is the next-generation Mortal Kombat you’ve been waiting for. While we cannot comment on the game’s audio due to ambient noise, its visuals are nothing short of breathtaking. Fuelled by the power of PlayStation 4, Mortal Kombat X showed off its graphical prowess with incredibly detailed character models and arenas, as well as highly fluid animations (the best we’ve seen in any NetherRealm Studios title to date). Put simply: playing Mortal Kombat X in all of its 1080p/60 fps fidelity is a dream come true. Playable characters included series classics Scorpion, Raiden, Kano, Sub-Zero and of course Quan Chi, alongside newcomers Cassie Cage, Kotal Kahn, Ferra/Torr and D’Vorah. The same four arenas remained in this build, i.e. Snow Forest, Outworld Marketplace, Kove and Jungle. While Mortal Kombat X’s gameplay style is best described as the fusion of both Mortal Kombat (2011) and Injustice: Gods Among Us, it is important to note that it still feels very much like Mortal Kombat. With only a few glances at the Kombos and Special Moves list, we were able to effortlessly string together kombos of between 5-8 hits. Raiden was perhaps our favourite character in the build; on a couple of occasions we were able to string together a reputable 12-hit kombo. Casual players seemed to appreciate the game’s relatively generous learning curve too. With Quan Chi the newest kombatant to enter the arena, question marks were raised as to what his newest incarnation would be like. Take it from us: this is the best Quan Chi you ever seen. 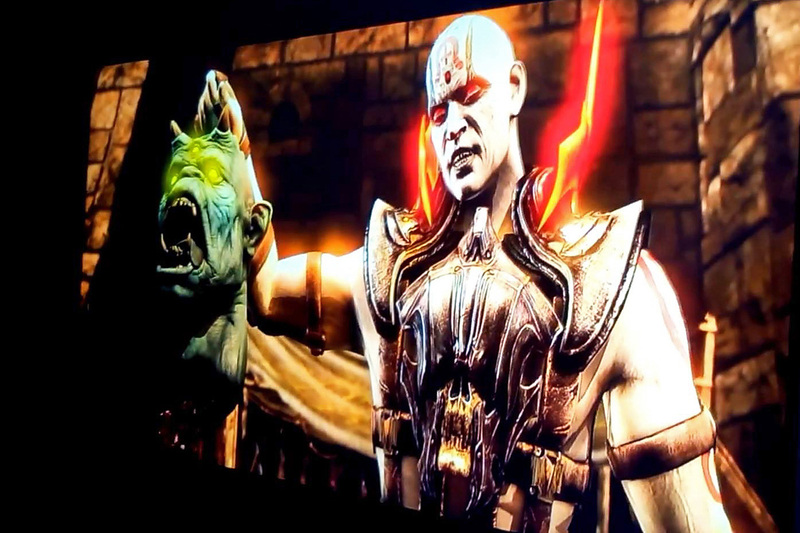 His EB Expo 2014 incarnation contained two unique intros before battle: one from his reveal trailer in which he rides atop the back of a NetherRealm demon, and another in which he proudly enters the arena holding the severed head of the three-eyed Oni Moloch. His attacks are both fast and ferocious, and all three of his variations seem to be well-rounded, with each carrying their own strengths and weaknesses. His Fatality, titled “Mind Game,” sees Quan Chi beguile his opponent closer using mind control toward a levitating green blade. As his victim continues their approach, the blade enters their mouth, piercing through the back of their throat amid the sound of gargling. Using telekinesis he then lifts his opponent upward until the blade slices through their groin, then finishes the half-body cut by dropping them to the ground. While each Fatality garnered its own amusing response from the crowd, this, alongside Scorpion’s, invoked the most cringing. Mortal Kombat X felt both new and foreign when it was first announced during Sony’s press conference at E3 2014. We shared a common concern with many fans as the title’s heads-up display seemed to depart from the flamboyant style of previous titles for a cleaner more minimalistic look. To our surprise this new design quickly grew on us and actually added to the overall experience, allowing us to focus more on the battle at hand and less on distractions. Furthermore, each of the new kombatants felt solid and unique, and we can’t wait to see more flesh blood join the expansive final roster. Stage interactivity makes a welcome return from Injustice: Gods Among Us, and its toned-down nature seems to fit into the Mortal Kombat universe perfectly. We found it incredibly satisfying to make use of objects within each unique arena. It adds a welcome layer of complexity to each battle; where your opponent is located in the arena becomes just as important as your own placement. We also found the evasive interactive objects that smaller kombatants can use the most useful, allowing us to flee when cornered. 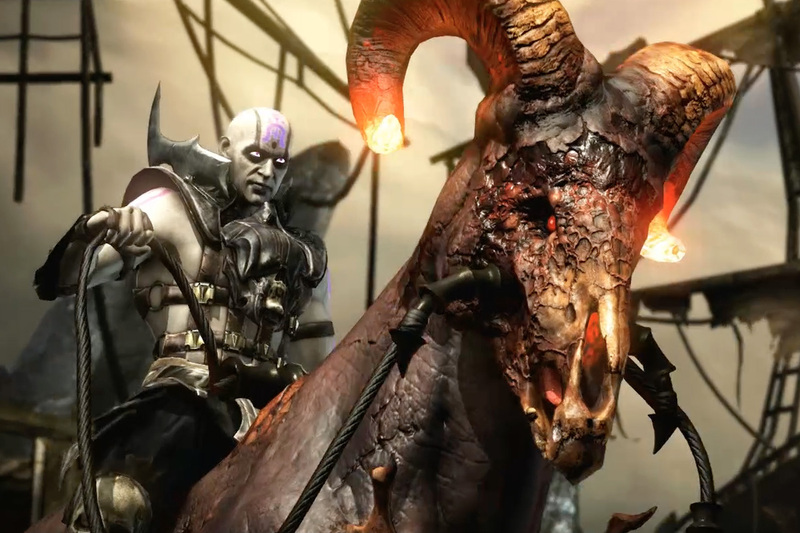 They are neither too plentiful nor too sparse; NetherRealm Studios seem to have found the perfect balance. Best of all, gameplay elements such as Enhanced Special Moves, Breakers and the famed X-ray that made Mortal Kombat (2011) a commercial success make an applauded return to Mortal Kombat X, with the latter more brutal than ever. Harnessing the power of next-generation hardware, NetherRealm Studios have invested an incredible amount of time into sculpting the internals of every fighter. The result? X-rays and Fatalities alike are infinitely more satisfying and more gruesome than ever. Overall we were both greatly surprised and hugely impressed with Mortal Kombat X’s form. NetherRealm Studios have continued to push the boundaries of what is possible in the fighting genre, solidifying Mortal Kombat X’s place as the next supreme fighter when it arrives on PlayStation 4, Xbox One, PC, PlayStation 3 and Xbox 360 on April 14, 2015. 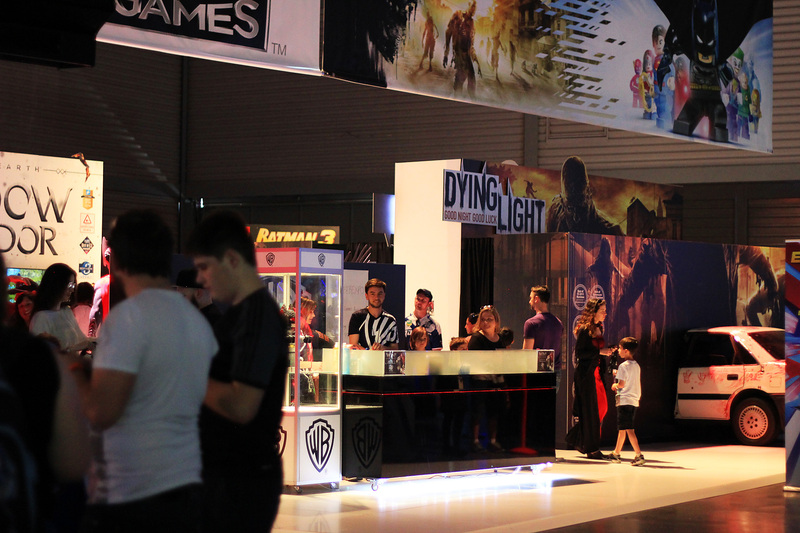 Stay tuned as we bring you more coverage from EB Expo 2014, including an extensive photo gallery with thanks to MKAU Gaming Australia and much more!